Begin your search for commercial space heaters on our website and you’ll never have to look anywhere else. 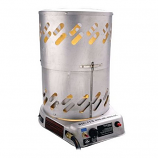 We are known for offering a variety of portable space heaters that are affordable and fit easily into a variety of commercial spaces. We carry both portable indoor and outdoor heaters, and commercial heating units that can be placed on ceilings, walls, baseboards and more. The space heaters you find here have one important thing in common in that they are all products from the industry’s leading names. Whatever your commercial heating needs, we can meet them with a large selection of space heaters for you to choose from. Space heaters are convenient in that they can fit into virtually any space to meet your heating needs. We can help you to determine which commercial heating units work best for your commercial space and your budget, and help you to identify those options. 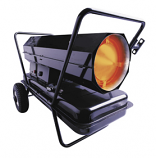 The different types of heaters we offer include gas, heaters, electric and more. Whatever your need, we feel confident you will find it here on our website. As was said at the beginning of this page, once you look here for commercial space heater solutions you won’t have to look anywhere else.